ITS PRODUCTS of authentic tastes and flavours are made from pure, Greek raw materials and then sold in 40,000 outlets around Greece and 22 different countries around the globe. For over 65 years, this local company from the Achaian town of Patras, has been a force of growth for the local and national economy, with ongoing investments in innovation and job creation. THE PRODUCT PORTFOLIO of Loux includes 7 brands with traditional soft drinks, fruit juices and a new generation of innovative low-calorie soft drinks, loux plus ’n light, with no added sugar and no artificial sweeteners, the first and only soft drinks in the Greek market with exclusively natural sweeteners and 60% lower calories, which respond to consumer needs for balanced nutrition, while preserving Loux’ commitment to unrivaled quality, rich flavor and unique pleasure. 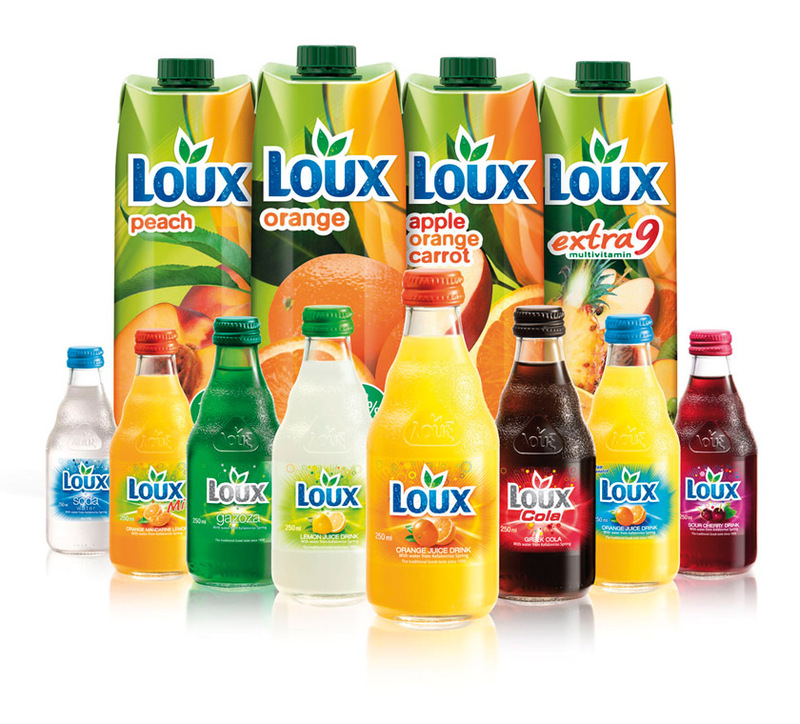 Loux is the largest Greekowned company in the national market of soft drinks and juices. The product range of loux plus ’n light has recently expanded also to tea, following the same recipe philosophy. LOUX has received multiple distinctions and awards over the last decade in Greece and abroad. Such as the “Famous Greek Product” award by the Greek Marketing Academy (Made in Greece Awards 2017). From 1950s until this day, the company remains focused on its core values and vision of quality, creativity, drive for innovation and customer respect, while supporting social, sports and cultural initiatives, through an extended social responsibility program.